We want everybody to enjoy the benefits of dance education! Please call to learn more about our programs! Ask us about: Summer Workshops, Summer Enrichment, Summer Intensive, Adult Dance & Fitness, and Adult Dance Workshops. We are excited to be celebrating Dance education in the Conway Community and are proud to be a part of this community since 1985! The Dance Teacher has been repeatedly recognized as one of the top schools in Central Florida through the A-List program. We are the recipients of the Spectrum award for customer service. Nancy Stewart earned her Bachelor Degree in Ballet with teaching certification from Virginia Intermont College in Bristol Virginia. Nancy is also certified in Autism Movement Therapy. She has also worked with the Florida Citrus Sports Summer Sports Camp as well as several area schools and organizations to develop dance programs specific to their needs. Nancy has been featured in multiple magazines, newspapers, and dance publications. Nancy’s overall philosophy of dance education is to have the students learn the history of dance, develop an appreciation and respect for oneself, others and the arts. Most importantly they must feel that deep down, dance is FUN. Dave Stewart, our business manager, does more than just produce the paper work and act as our stage technician for performances. He offers valuable insight to our instructors about child development. Dave has earned degrees from Rutgers University, University of Central Florida and his Masters in Social Work from Florida State University. Dave’s sharp business sense, fun-loving sense of humor, and the fact that he is married to the owner earned him the position of Business manager. A 30-minute once a week non-stop creative movement class designed for children ages 2-3. We Focus on directions, color identification, gross motor skills, memory, and fun. We utilize scooter boards, streamers and parachutes. A 45-minute class once a week class designed for children ages 4-6. This program focuses on right and left definition, counting music, basic arm and simple feet positions, sequencing, color identification, and most importantly – following directions! A 60-min. class for school aged. Tap dance is characterized by using the sounds of tap shoes striking the floor as a form of percussion. Two major variations on tap dance exist: rhythm (jazz) tap and Broadway tap. Rhythm tap focuses on musicality and is considered more of the jazz style tradition. Broadway tap focuses on dance, it is widely performed in musical theater. Rhythm tap focuses on musicality and is more in the jazz style tradition. 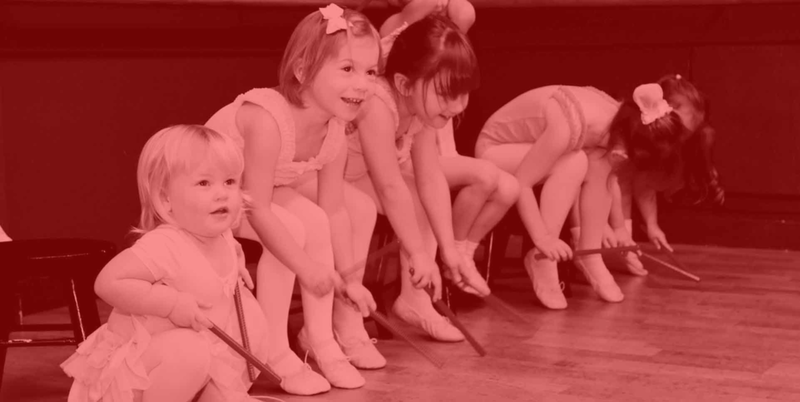 Our program utilizes both styles of tap and incorporates jazz and musical theater fundamentals into each class. A 60-minute class, twice a week for school aged. It requires a lot of energy and sharp, dynamic movements. This twice a week class builds stamina and flexibility as routines consist of high kicks, turns, and leaps. POM builds of routines assists in improving memory and understanding patterns. More modern dance styles such as jazz, hip hop, and lyrical are used in this dance style. Beginners-60 minutes; Intermediate or Advanced - 90 minutes Weekly classes emphasize the development of classical ballet skills with a focus on proper placement and alignment. Students expand their knowledge of ballet vocabulary through barre and center work while building strength and flexibility. In addition to traditional technique our program offers an integration of other performing arts styles such as lyrical and contemporary. A 60-minute class. Meets once a week. Readiness for Pointe requires balance, strength, and solid technique. This class works on both demi and full pointe technique utilizing elements of our stability dance fitness program as well as progress pointe technique. This class must be taken in conjunction with a ballet and beyond class for demi pointe students. Pointe students must take a minimum of two ballet and beyond classes per week. A 45-minute class for fitness. The Dance Teacher creation that utilizes a fusion of modern dance, floor barre, and stability ball progressions to gently tone and align your body while permitting you to move with style and grace. Stability Dance Fitness offers techniques to provide you with proper alignment as well as a strong foundation of exercise and dance movements. It is our goal to provide our students with solid fundamentals for fitness practice at home as well as in the dance studio. The Dance Teacher offers Summer Camps for Children, and Workshops for Teens to Adults. We also have weekly classes for all ages in a variety of formats and offerings.